It is no secret that playing sports comes with a variety of important physical and mental benefits. Participating in athletics has been linked with everything from healthy weight maintenance to high self esteem. Although it may get less attention, playing sports has also been correlated with another important trait: making better decisions under pressure. Scientists have found that playing sports can focus the brain in a way that often makes athletes better decision makers than non-athletes. Rocky Top Sports World has put together a brief summary of a fascinating study on this topic. A study published in The Journal of the American College of Sports Medicine examined the decision making process in a very clever way. The researchers put together a virtual reality video game, where participants walked on a treadmill surrounded by three 10 foot video screens. The objective of the game was to cross a busy street with virtual cars that zoomed by at anywhere from 40 to 55 miles per hour. Half of the participants in the study were varsity athletes from a Division I school, including wrestlers, gymnasts, swimmers, cross-country runners, soccer players, tennis players, and baseball players. The other participants in the study were non-athletes who also attended the university. The researchers found that the athletes were significantly better at safely crossing the virtual road than their non-athlete peers. Interestingly, the success of the athletes had nothing to do with walking quickly or physical ability. As one scientist put it, “They didn’t move faster, but it looks like they thought faster”. When compared to their non-athlete counterparts, athletes surveyed the street more times and processed the information at a more rapid pace. Decision making is like any skill: the more you practice it, the better you get. The reason athletes did so well in the road crossing experiment is that they already had lots of practice making lightning fast decisions in complex situations. In a soccer game, for instance, a player must decide whether to pass or kick an incoming ball within a matter of seconds. Virtually every sport requires this type of ultra-speedy decision making, so it makes sense that athletes of all types excelled at the road crossing game. The ability to quickly make good decisions under pressure is a skill that is vital to a variety of professions, especially leadership positions. In fact, a very high number of CEOs and politicians are former athletes. An interesting article from CNN looked at how some of the world’s most successful women got their start with youth athletics. 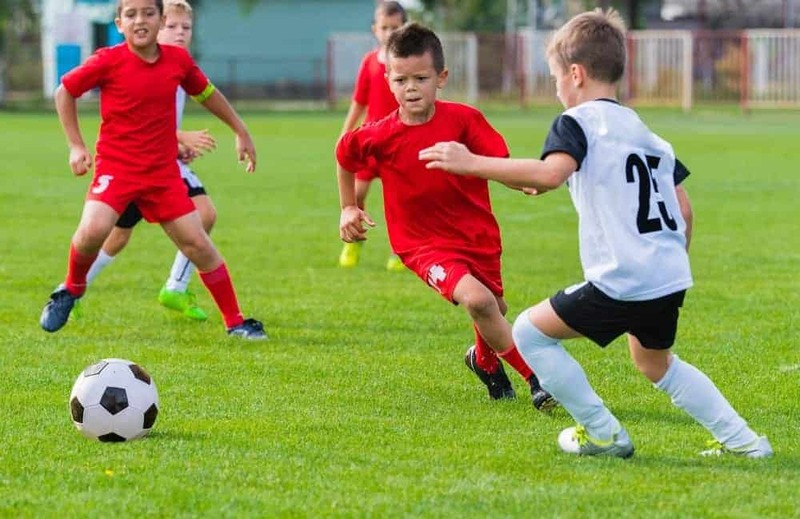 While making split-second decisions in the middle of a game can be difficult, choosing where to have your next sports tournament is an easy decision to make! Rocky Top Sports World has everything you need to host the perfect competition. Our 80 acre sports campus is located in the foothills of the Great Smoky Mountains, just minutes from all of the fun in downtown Gatlinburg, TN. With 7 fields, 6 basketball courts, 12 volleyball courts, plenty of bleacher seating, and an onsite grill, Rocky Top Sports World is the ultimate destination for your next athletic event. To learn more about our complex, visit the Rocky Top Sports World Facilities page. This entry was posted in Trends in Youth Sports on October 31, 2016 by Jason Fishman.